Walking with Jesus: Day 1: Acts 1:1-5 & Prov. 1:1-7 - Who is at Work in the Book of Acts? Day 1: Acts 1:1-5 & Prov. 1:1-7 - Who is at Work in the Book of Acts? 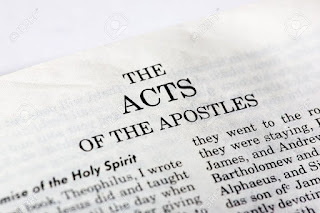 Who is at Work in the Book of Acts? What if someone else assigned a title to something you wrote, something you didn't like? 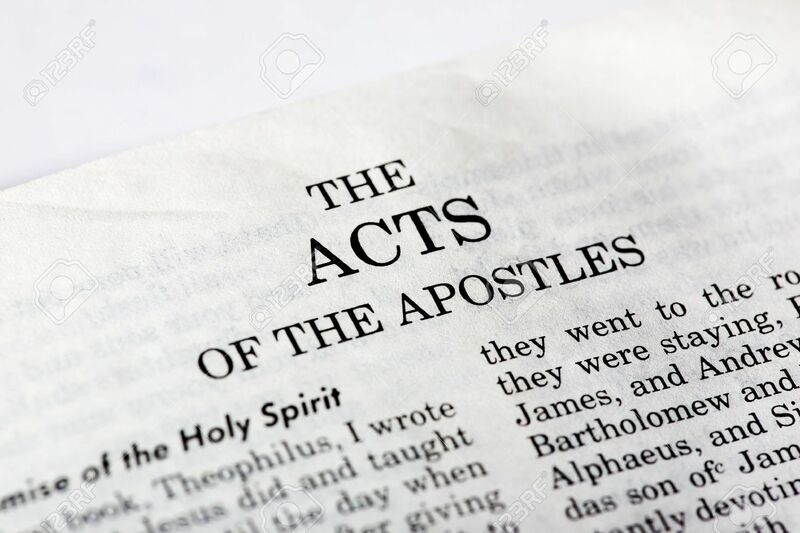 The book of Acts is also known as the Acts of the Apostles, but Luke did not come up with that title and I doubt he would like it. Luke makes it clear in the opening sentence of his second book that Jesus is at work in the Book of Acts and that it is really the Acts of Jesus in the early church. Luke wrote Acts as a follow-up, a sequel to his Gospel. He says that the Gospel of Luke records "all that Jesus began to do and teach, until the day when he was taken up." Through the Holy Spirit working through the apostles, Jesus continues to work in His church from His exalted place at the right hand of the Father. Luke's opening paragraph tells us some other important things, besides the fact that this book records the actions of Jesus. He addresses this book to Theophilus, the same man who received the Gospel. Theophilus was apparently a Greek man who was a patron or sponsor of Luke's work, although his identity is uncertain. His name means God-lover, so this could be a pseudonym, a false name to protect his true identity, or it could be Luke's literary way of saying that these books are written to all who love the Lord. Whether Theophilus was an actual man, the book is certainly intended for all those who love God and want to understand His church. Luke is also clearly focusing our attention on the Holy Spirit, Jesus gave His commands to the apostles through the Holy Spirit, and then He told them to wait in Jerusalem for the gift of the Holy Spirit. In making His promise, Jesus echoes the words of John the Baptist from more than three years earlier. John had said that he was baptizing with water, but that the One coming would baptize with the Holy Spirit. (see Luke 3:16) Finally, what John the Baptist had foretold would come to pass "not many days from now. A good introduction to a book will introduce the major themes of the book and create a sense of anticipation for what is going to come. In just a few short sentences, Luke introduces us to the major themes of the work of Jesus through the apostles by the power of the Holy Spirit. He also creates a sense of anticipation as the outpouring of the Holy Spirit is coming very close, and as the phrase "Jesus began to do" sets us up to anticipate what He will continue to do. Jesus is still at work in and through His church. The Holy Spirit still uses the foundational ministry of the apostles, contained in the New Testament, to grow, guide and advance Christ's kingdom in the world. The sense of anticipation we feel in the opening verses of Acts should create in us an anctipation of what Jesus will do through His church in the coming year and beyond. Where is He working? What is He doing? How is He teaching and growing us? What is our response to His commands? Lord Jesus, make us responsive to Your word. May the Holy Spirit continue to advance the work begun through the Apostles. May the Gospel of Your kingdom advance to all the world through us. For the glory of Your name, Amen. Lord, we need wisdom and instruction, which You alone can give. that we may live lives of righteousness, justice and equity. Father, give us prudence, for we are simple-minded people. Give us knowledge and discretion, that we may hear and understand You. Teach us, Lord, for You alone are the source of all wisdom. Let us live and learn in the fear of You!